It’s great to have options—until you go to shop for, say, an air conditioner and are utterly overwhelmed by shelves and shelves (or pages and pages) of different models, each with their own unique advantages—and challenges—in installation, energy efficiency, and other factors. 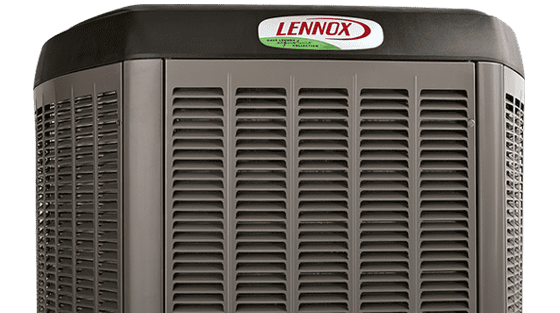 To help you find the best air conditioner for you and your home, check out this rundown of types of air conditioners, along with the pros, cons, and average cost of each. This is one of the simplest ways to cool your home. You install the air conditioner in a partly opened window, sealing the space around it. Plug it into an ordinary outlet, set your desired indoor temperature, and hit the power. The unit then cools and dehumidifies the air, sending heat and moisture out. Pros: Window AC units are easy to install. In fact, most consumers install their units themselves. They’re also easy to remove, so you can take them with you when you move (a boon if you’re renting). Description: Those of you with windows that can’t accommodate an AC unit might want to consider a standing air conditioner. These units are usually just under 3 feet tall, with a vent that directs air in and out through a window. Condensation collects in an internal bucket, which you have to empty regularly (some models are bucketless). Most come mounted on caster wheels, enabling you to move the unit from room to room as needed. Pros: Portability is the biggest advantage of these units. 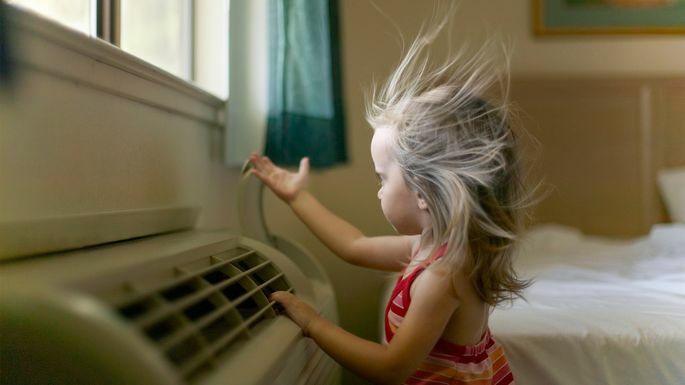 Some standing air conditioners provide heat for cold weather as well. Cons: Condensation can become an issue with standing units, says Chris Forbus of Choice Air Care. “If the system is run for a long period of time, the condensation has to drain somewhere and will typically fill up a bucket quickly, meaning it will become a pain unless you set up a drainage system.” They also take up floor space. Description: Central AC uses the same duct system as your furnace: As long as your home is set up for furnace heat, all you have to do is retrofit that system for air conditioning and make sure you have room for a condenser unit outdoors. Pros: Central air is the most efficient way to go if you want to cool your entire home to more or less the same temperature. Plus it’s the quietest option and the least visually intrusive; it also filters the air. Cons: Central AC needs to be installed by a professional, which will take a day or two, and could involve some minor demo of your current vents. Plus, central air typically can’t set different temperatures for different rooms. Average price: Depending on the size of your house, expect to pay anywhere from $2,800 to $25,000 for installation, plus $2,000 to $3,000 for equipment. Forbus recommends that customers work with a professional installation company they’ve vetted thoroughly—and not just pick the lowest-priced option. 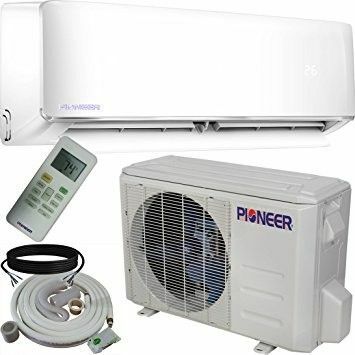 Description: A ductless mini-split system is similar to central AC, but it uses its own separate set of tubes to deliver cold air rather than piggybacking on the ducts of your furnace. Mini air splits are relatively new to the United States, but they’ve been popular in Europe and Asia for years. They include two basic components: a large condenser unit installed outside the building, and wall-mounted blowers inside the home. 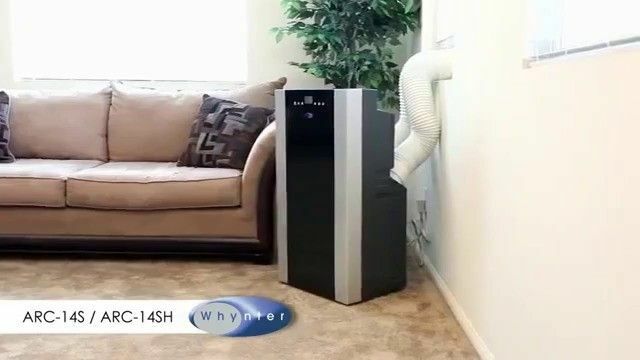 Pros: If you’re adding AC to a room or home that doesn’t already have ducts, mini-split systems can be a great alternative to the expense of installing a bunch of ductwork. Plus they’re energy-efficient, because they allow you to set different temperatures for different rooms. Cons: “With all of these wonderful features, the only negative is, of course, the price,” says Ciresi. Yet if you have a very small home, this might be more cost-effective than central air. Average price: $1,000 to $3,500 per room, depending on square footage.